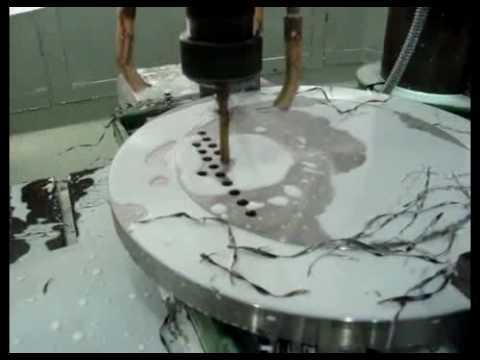 Fanuc G73 High Speed Peck Drilling cycle performs high–speed peck drilling. It performs intermittent cutting feed to the bottom of a hole while removing chips from the hole. Fanuc G73 High Speed Peck Drilling Cycle is also called Fanuc G73 Chip Break Drilling Cycle. 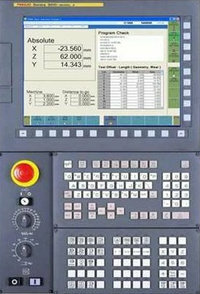 Fanuc G73 High Speed Peck Drilling Cycle is used on Fanuc control with CNC Milling machines. G73 is a modal G codes so remain in effect until canceled. 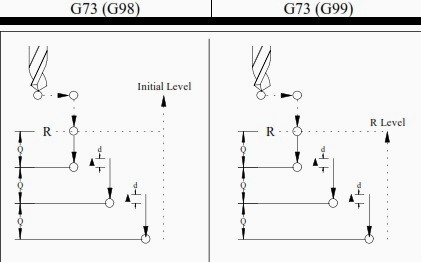 The following Fanuc G73 Chip Break Drilling Cycle example code shows how to use G73 drilling cycle and how to use G98 and G99 G-code with G73 cycle. G90 G99 G73 X300. Y–250. Z–150. R–100. Q15. F120.